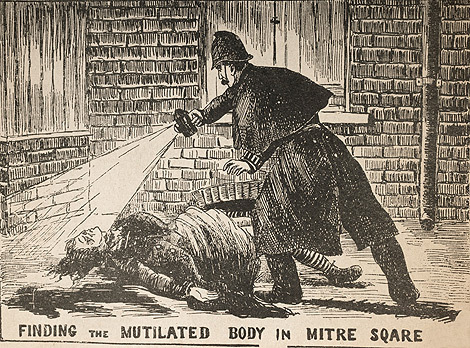 Saturday September 8th 1888 was an eventful day in British history. 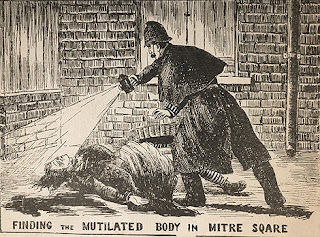 - In Whitechapel, London, the notorious killer Jack the Ripper claimed his second victim - Annie Chapman. Although this grim finding has little to do with football the date most certainly has, as it was the day the newly founded Football League kicked off. Of the ten clubs who kicked off that historic Saturday all are still members of the Football League today, although Accrington have twice folded and only returned to the League in 2006 after 44 years in non-League football. Amongst the first day fixtures was a West Midlands derby between Wolverhampton and Aston Villa. 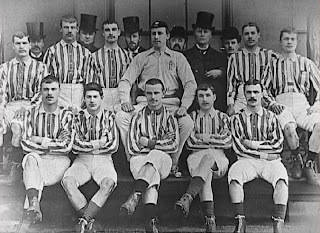 It was around the half hour mark of this particular game that Gersham Cox of the Villa created history by scoring the first ever Football League goal. Sadly for Cox his historic strike was an own goal to give Wolves the lead. Later on in the match Tom Green equalised for Aston Villa and that’s how the game finished. At Preston North End they disputed the claim of Cox’s statistic stating that they had scored the Leagues inaugural goal after only three minutes against local rivals Burnley, however, with Wolves v Villa kicking off at 3pm North End’s argument was lost as their match started some fifty minutes later! The national newspapers took very little interest in the series of fixtures with little more than a line written about each game. Imagine the outrage from the Premiership clubs of today if the nations media treated them with such contempt (God forbid!). 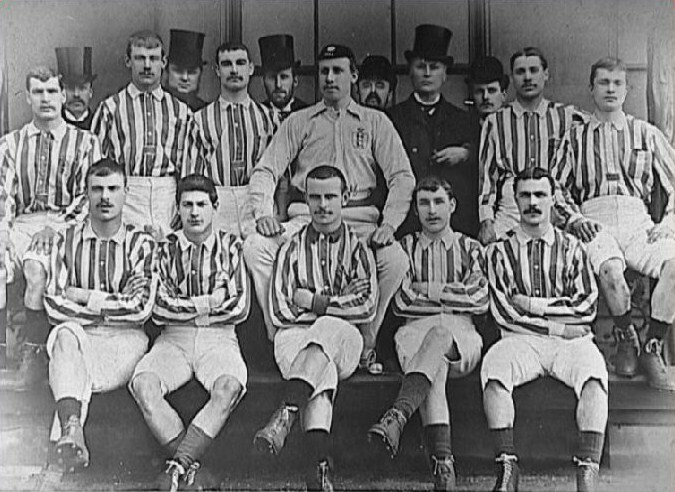 Although the honour of the first goal was taken from them, Preston took the first Football League Championship by storm, winning all 18 matches and defeating Wolverhampton 3-0 in the FA Cup final to complete the first ever ‘double’ the team became known as ‘The Invincibles’. Seemingly there is little connecting the opening day’s fixtures and the Whitechapel murderer, however a slight football link is that Harry Chester Goodhart (who won two FA Cup winners medals in 1879 and 1882, scoring no fewer than five hat tricks in the competitionwith Old Etonians as well as leading the forward line for England), was under suspicion of knowing the identity of the killer. Goodhart was a close friend of no fewer than two of the nominated suspects!